This tour takes you around the entire Isle of Beauty in class and style. Start in the north in Bastia working your way down the west coast through Calvi, the Scandola Nature Reserve, and Ajaccio to Porto Vecchio. Explore hillside villages, narrow mountain passes, white sand beaches, and colorful towns. 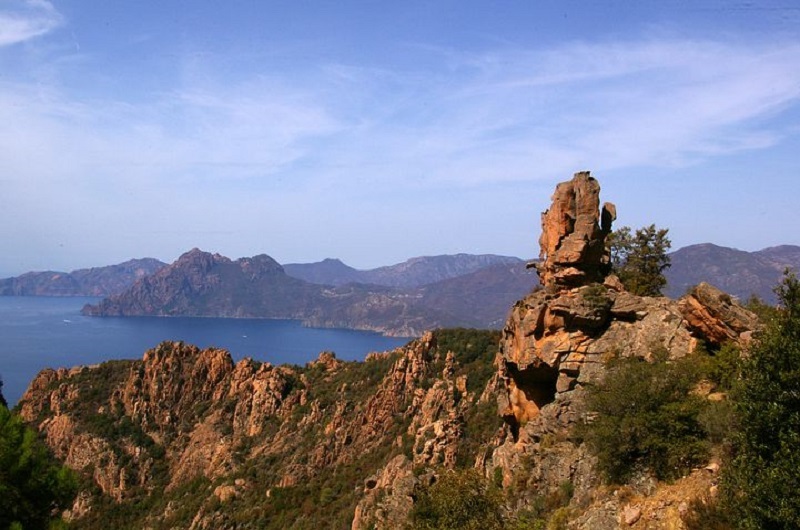 Stay in 4-star hotels while private guides and drivers show you the real Corsica. Upon your arrival in Corsica, a chauffeur will meet you for a private transfer between the airport and your lodging. Cap Corse is located on the northern tip of Corsica. Here visitors can experience the whole variety of incredible landscapes that the Isle of Beauty has to offer concentrated in one small area. The regions beauty takes ones’ breath away with abundant jagged coastlines, mountains crashing into the sea, hidden coves, and spectacular beaches. Historic gems include old chapels, churches, and towers, picturesque fishing towns, lush vineyards, and quaint perched villages literally carved into the mountainside. A driver guide will pick you up at your lodging. Heading towards Cap Corse you make stops at the charming Miomo, Lavasina, and Erbalunga villages, and the Genoese Tower of Losse. Then drive to Luri’s hilltop and seaside hamlets. 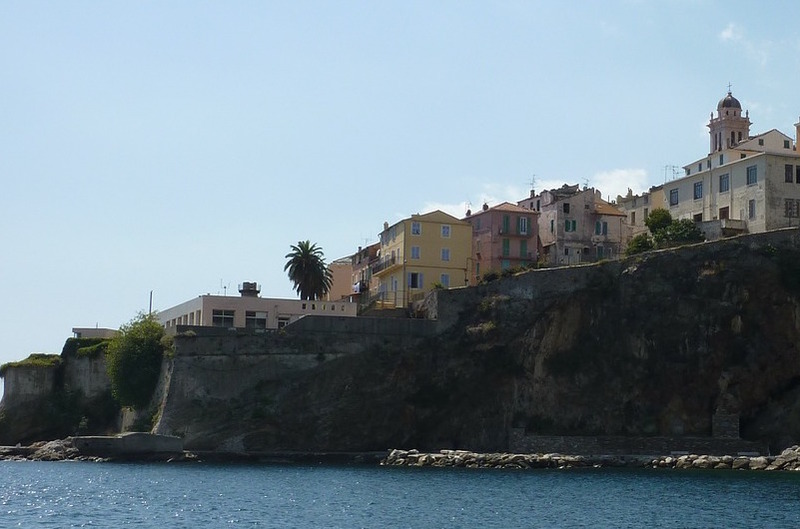 A tour up the west coast of Cap Corsica follows to visit the quaint villages of Pino and Nonza. You round up your trip with a drive along the wine route. You may choose to stop in Patrimonio for a wine tasting. You are dropped off at the end of the tour. The Balagna region is known for its olive groves and its countless churches. The latter gives it its nickname la sainte Balagna or the holy Balagna. Today it is a popular sea tourist destination. This route is a feast for the senses. Colorful blooming maquis vegetation gives the area a sweet fragrance in the springtime. Wherever you turn abundant traditional cheeses and sausages await to be sampled. Idyllic beaches offer crystal clear water and evoke the Caribbean while high lookouts give breathtaking panoramas of the mountains and sea. Your driver guide will pick you up at your hotel to visit La Balagna starting at the picturesque port town of Saint-Florent and the spectacular Desert of Agriates. Although its name might suggest otherwise, this area contains beautiful beaches and is actually quite green in the springtime before it dries up in the summer heat. 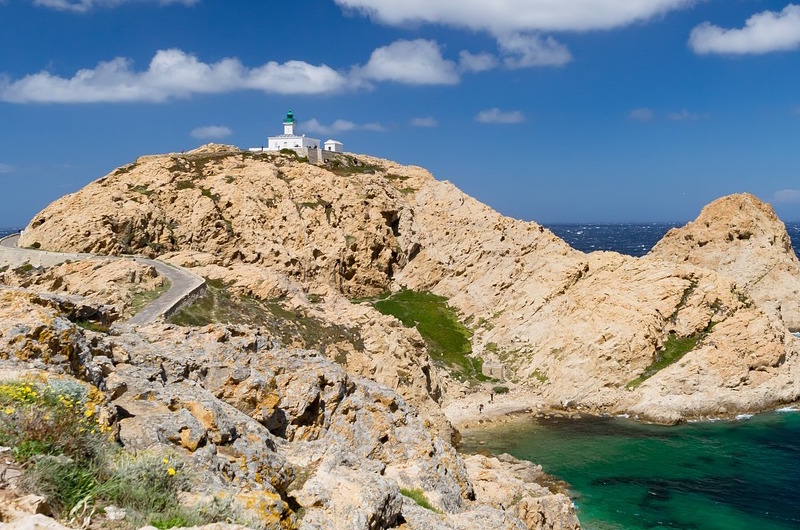 Next is L'Île-Rousse, a pretty 18th-century town founded by the Corsican statesman and military leader Pasquale Paoli who fought against Genoese and French control of the island. 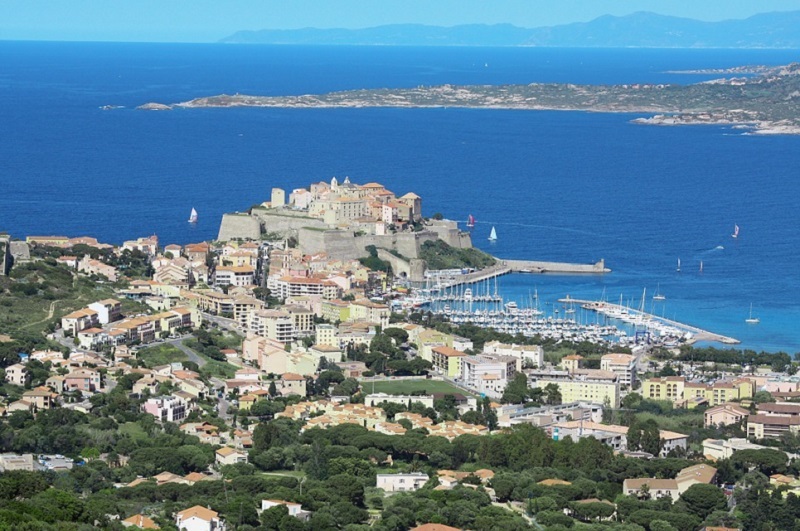 Continue to Calvi for a visit of its citadel. The city famously had the motto “semper fidelis”, a pledge of its loyalty during 500 years of Genoese rule. Your trip is rounded up by a tour through the old villages of La Balagna for a voyage back to medieval Corsica. In the late afternoon, your driver drops you off at your hotel. 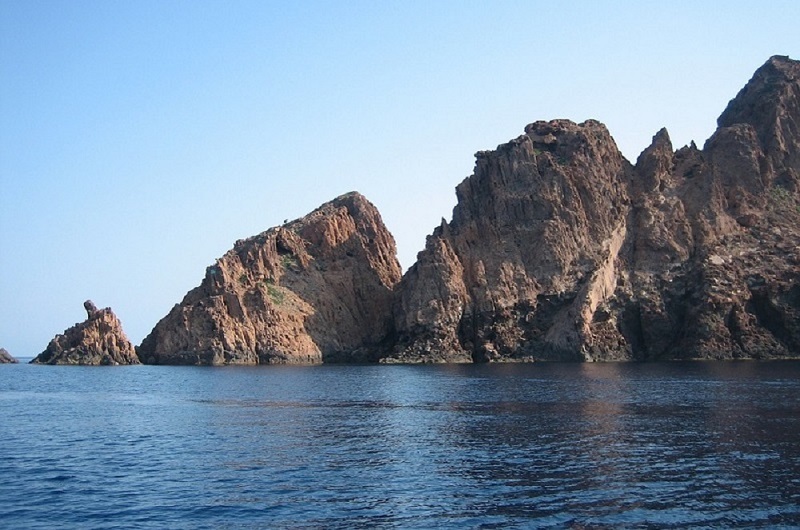 Discover the Scandola Nature Reserve and the Gulf of Porto, a natural wonder and UNESCO World Heritage site. Their Calanques de Piana evokes Norwegian fjords if they were found in warmer Mediterranean waters. This is a place where bizarre, jagged mountains crash into the clear sea below to make some truly impressive landscapes. A fascinating play of colors unfold before your eyes: intense blues from the sea, bright light, and the pink, red, and orange shades of the granite. Erosion had sculpted the stone into monumental natural artwork. Take your time to stroll through the marina or take an easy hike through the Calanques de Piana. Alternatively, you can take a boat trip through the Gulf of Porto and the Natural Reserve of Scandola at your own expense. Your driver will drop you off at your hotel in the late afternoon. Take the morning to explore the Imperial City. Wander the narrow streets around the citadel or visit the Bonaparte House, the birthplace of Napoleon and now a national museum. Shop in the market for local specialties or take some time to appreciate Italian Baroque art in the Fesch Museum. You'll have free time for lunch. After lunch, pass the beaches to head to the Parata Peninsula. Walk around the peninsula by the Genoese tower. 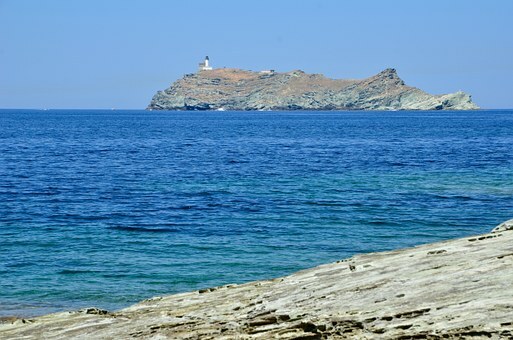 At the end of this walk, enjoy a fantastic panorama of the gulf and the Sanguinaires Lighthouse. On the way back, see the Capo di Feno Bay and the Castle of Punta. 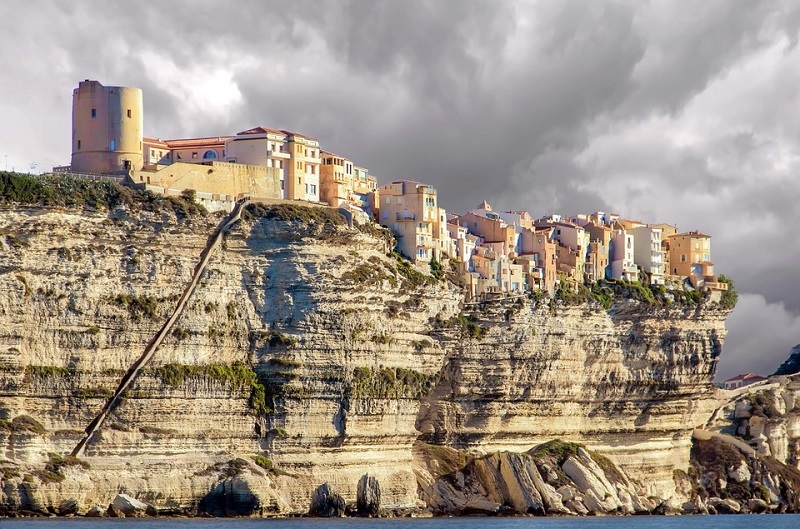 Bonifacio is a must-see with breathtaking landscapes. Begin with the Gulf of Valinco before seeing the virgin, jagged Roccapina Coast. The turquoise sea, white sand beach, and strangely sculpted rocks are thoroughly impressive. One of these rocks is said to look like a lion and is known as the Lion of Roccapina. Enjoy a brief coffee break here. The tour continues to Bonifacio where you can take a boat to the foot of the caves and cliffs that dominate the White City. From the Pertusato Lighthouse you can see Sardinia across the sea. This part of the island is part of the International Marine Park (a 1-hour boat ride). Enjoy some free time for lunch and shopping in the lively and quaint streets of the citadel. On your return, stop in the old town of Sartène.